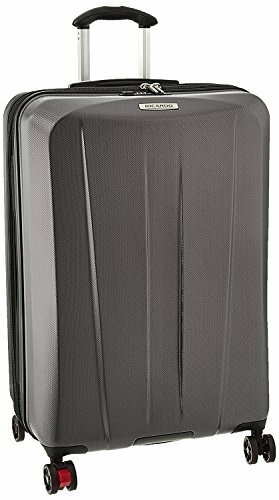 I wrote a lot about high-end luggage these past few days, so I thought it was time to write a little about affordable luggage as well. 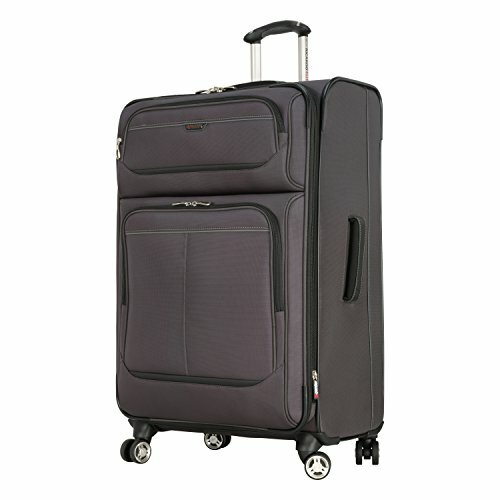 After all, it is the type of luggage most of choose to purchase for our travel needs. And, nobody does affordable luggage better than Ricardo Beverly Hills. They have a lot of different suitcases, both softshell and hardshell. Some collections also feature totes and shoppers, so I’ll show you some of those too. But naturally, I’ll mostly focus on actual suitcases – carry-ons as well as luggage that needs to be checked. So, without further ado, here are the best Ricardo Beverly Hills suitcases for your next trip. Which Ricardo Beverly Hills Suitcase Is The Best One For You? The Roxbury 2.0 is made of Makrolon polycarbonate construction; a material that is not only lightweight, but also incredibly durable. It is also equipped with a TSA approved lock, which is really helpful for anyone who often visits the United States. An excellent feature of this suitcase is that it is expandable. The 2 smaller versions can be expanded by 2 inches, and the larger 2 can be expanded by 2.5 inches. This is beneficial for anyone who tends to do some shopping on their trip. 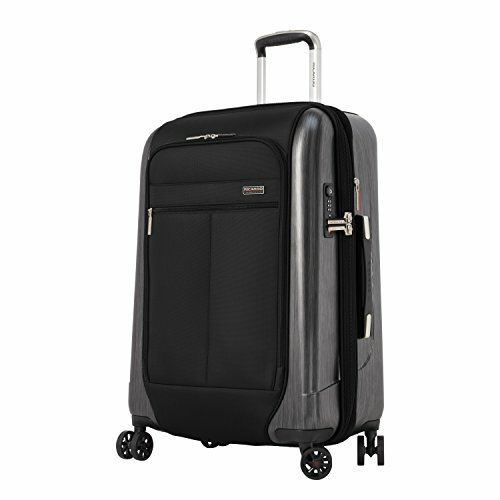 The suitcase features dual spinner wheels, which will make your trips to and from the airport much easier. 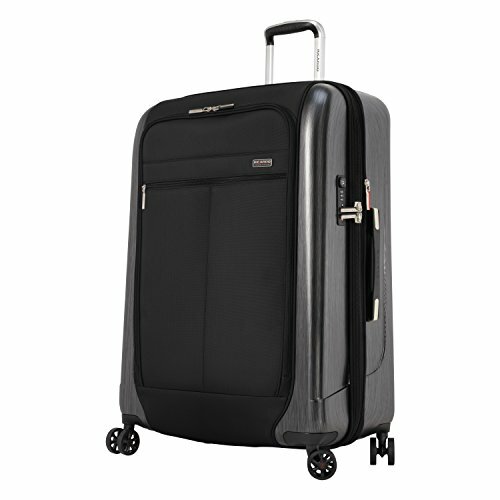 You’ll have amazing maneuverability of the suitcase, and the multi-stage retractable handle only reinforces that. In addition to the retractable handle, there are also top and side carry-handles, as well as an integrated bottom grip. 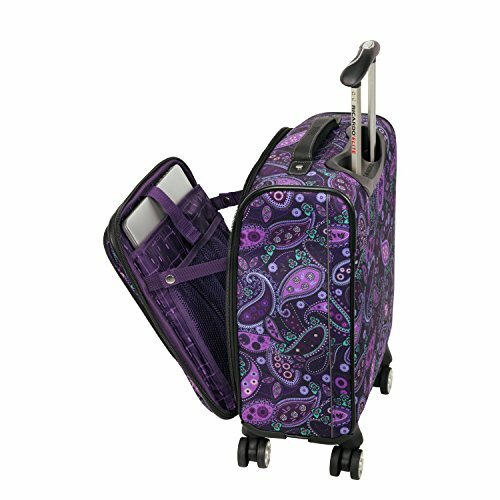 And, there’s also a retractable add-a-bag strap that will make carrying other pieces of luggage much easier. As for the interior of the Roxbury 2.0, there are 2 separate packing compartments. The main compartment is equipped with tie-down straps, a large zip pocket and a side mesh pocket. 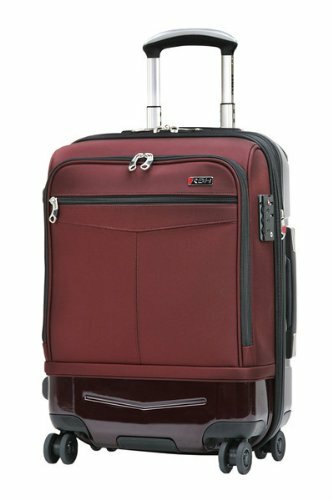 Additionally, a built-in suiter loop and an anti-wrinkle bar in the front compartment are excellent features that really help your items to stay organized. The shell of the Mulholland Drive is a mixture of both soft and hard shell. The hard parts are made of polycarbonate alloy, and the soft parts are made of micro ballistic nylon. The combination of these materials remains lightweight, but unfortunately, it is not as durable as a fully hard shell. 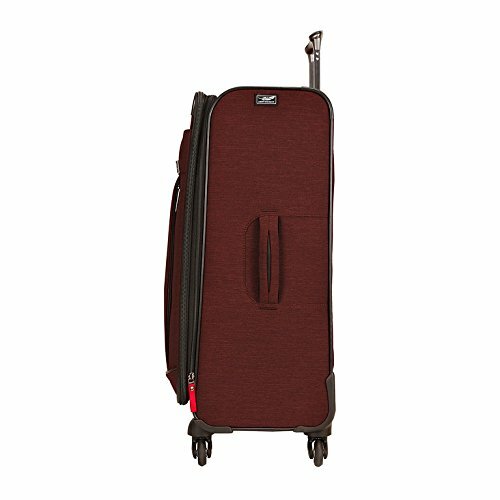 There is one benefit of this suitcase that most fully hardshell luggage doesn’t have, and that is the exterior zip pocket. 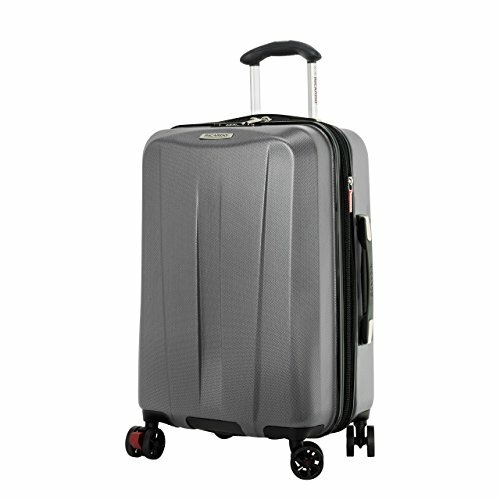 This suitcase is equipped with dual spinner wheels, which will make your life much easier. Instead of having to tilt your suitcase and pull it, you can actually just walk alongside it. On the other hand, if you prefer to carry your suitcase, you’ll be glad to know that there are carry handles on the sides and the top of it. The Mulholland Drive features 2 packing compartments, and both are fully lined with nylon. There’s actually a lot of cool organization features on this suitcase, such as the shoe sleeves (included in the suitcase) and the 1-quart transparent vinyl bag (for liquids). Additionally, there is a suiter loop with an adjustable anti-wrinkle bar, as well as several mesh pockets for easy access to smaller items. There is a TSA approved combination lock on this suitcase (only the business tote doesn’t have it). In addition to that, there is an add-a-bag strap that is hidden in the exterior pocket. This allows you to easily attach another bag to your suitcase, as well as hide the strap while it is not in use. Overall, the Mulholland Drive seems like an excellent suitcase for anyone who travels a lot for business (but also for pleasure!). 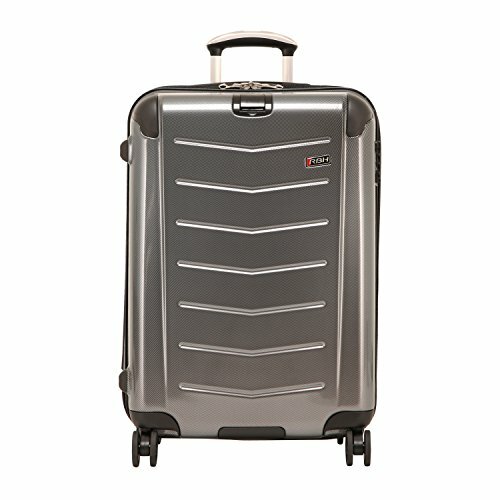 The softshell suitcase is made of Makrolon polycarbonate and Nano-Tex treated fabric, which are really durable but also lightweight. 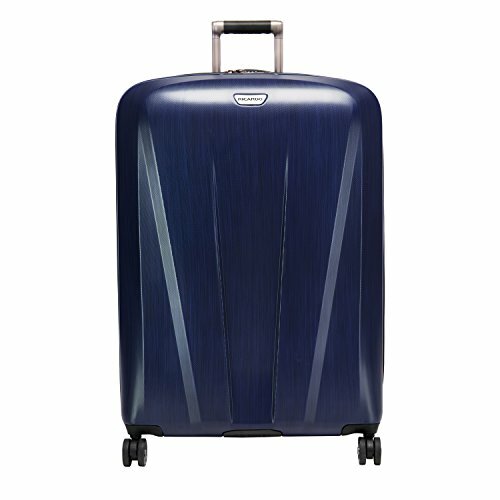 The hybrid construction also has an exterior pocket, which is not incorporated into the hardshell suitcases. 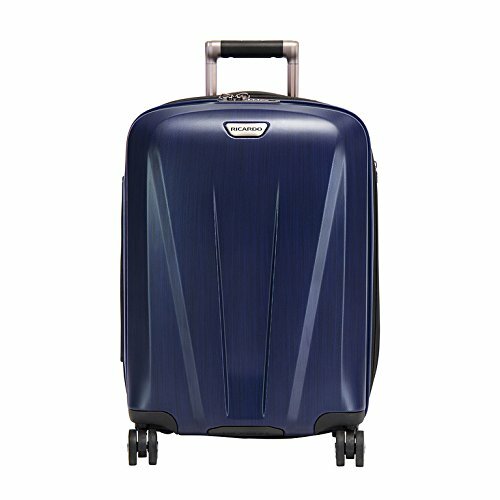 Because there aren’t a lot of other differences between the 2 versions of the Rodeo Drive, I’ll focus on hardshell luggage in the rest of the review. The Hardshell Rodeo Drive is made of polycarbonate, which features a layer of fine textured film that makes it resistant to scratches and impact. Additionally, there is also a retractable add-a-bag strap that makes it effortless to carry around several pieces of luggage at once. And, as you would probably expect, it is equipped with a TSA approved lock. 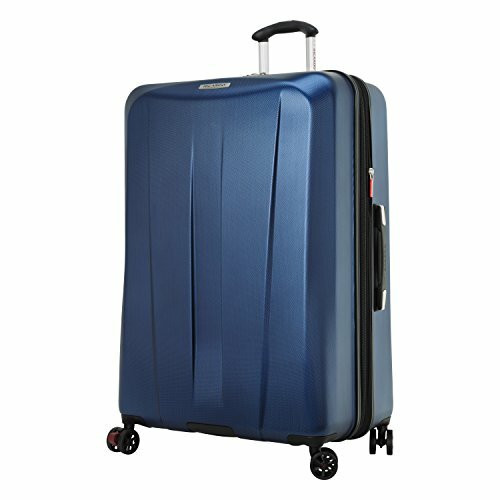 This suitcase is equipped with Hinomoto dual spinner wheels. 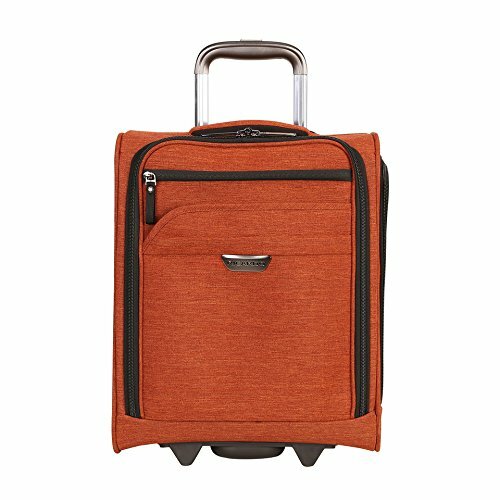 Combine that with a multi-stage retractable handle with a push button, and you will have superb maneuverability of your suitcase. 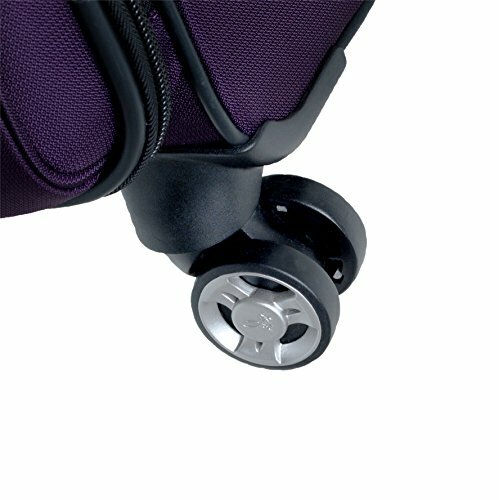 And for those times when you actually need to pick up your luggage, there are top and side carry handles, as well as a bottom grab handle. The interior of the Rodeo Drive features 2 packing compartments. One compartment has tie down straps, and the other can be secured with a zippered divider. The divider also features a meshed zip pocket and elasticized shoe pouches. 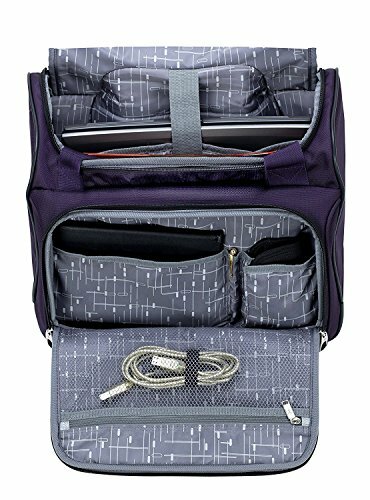 As for other organizational features, there is a mesh zip wall pocket, a suit system with a hanger loop and an adjustable anti-wrinkle bar. 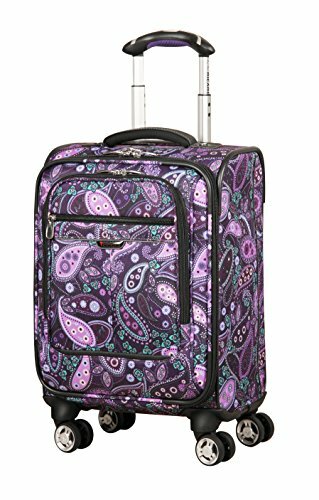 This entire collection is available in Purple Paisley print, which is really cool. The print looks great, and it definitely makes these suitcases stand out. 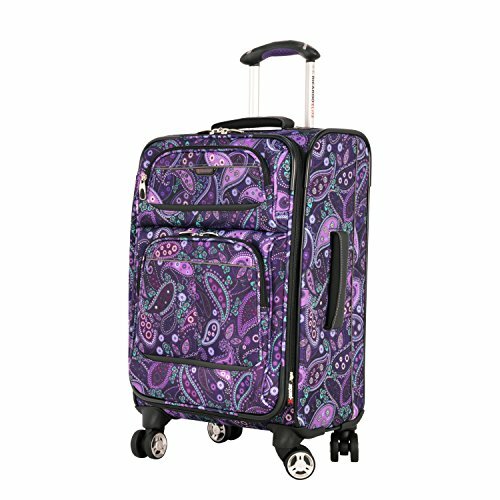 As for the 16” rolling tote, it’s the only piece in this collection that does not have spinner wheels. I don’t consider this a big deal; since it is quite a small tote, and you’re more likely carry it on top of your larger suitcase. 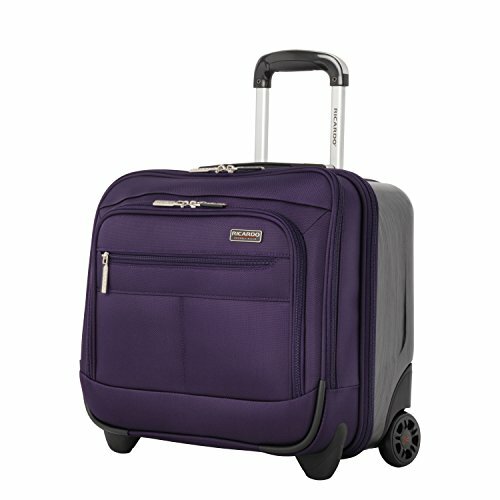 It does have a retractable handle, so you can pull it like a regular suitcase. There is a large front pocket on the tote, with multiple pouches so you can keep your smaller items organized, while your bigger items can be stored in the large main compartment. The tote is also equipped with a padded sleeve for your electronics that can fit a 15.5” laptop. As for the rest of the Mar Vista collection, all of it is equipped with dual spinner wheels, textured TPR grip handles and exterior pockets. Additionally, the top and side carry handles are also padded, for your ultimate comfort. 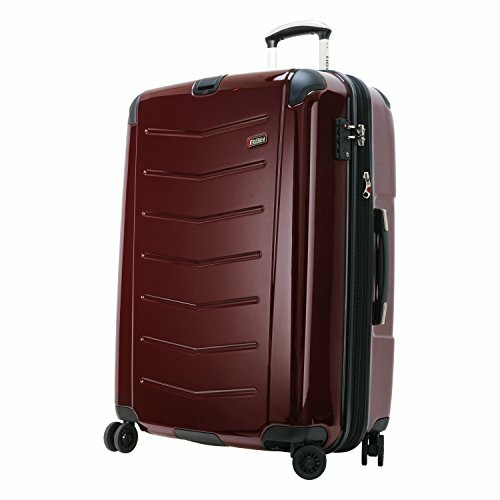 The shell of these suitcases is made of terylene polyester, which as a really lightweight material. But, this is obvious from the weight of the suitcases, as the largest one weighs only 10 lbs. A downside of the Mar Vista luggage is that they do not feature a TSA approved lock, or any lock for that matter. 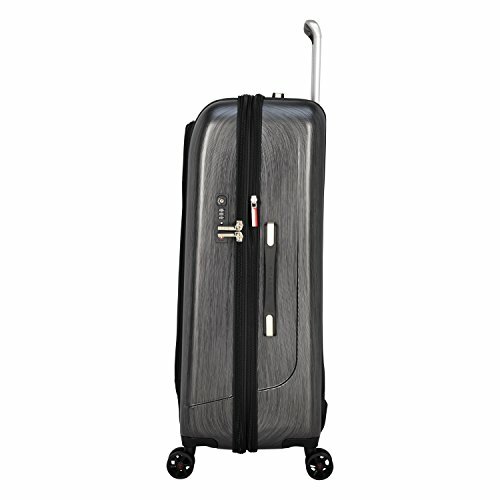 While this might be the reason why they are priced lower than other Ricardo Beverly Hills luggage, it also means that anyone could open your suitcase and access your belongings. And, while the lack of a lock might not matter much when it comes to carry-on luggage, it certainly matters when it comes to luggage you need to check. 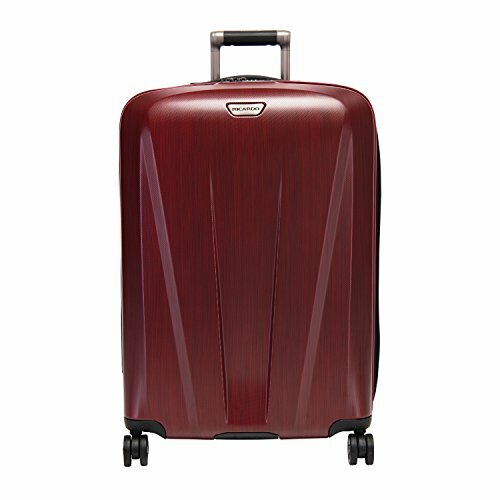 The shell of these suitcases is made of polycarbonate alloy with diamond-textured finish. This is an exceptionally durable material that is scratch-resistant, and a lightweight one at the same time. The suitcases have a TSA approved combination lock, so you can have some peace of mind when it comes to the safety of your belongings. Also, there are both top and side carry-handles, as well as a bottom carry grip, for optimum handling. 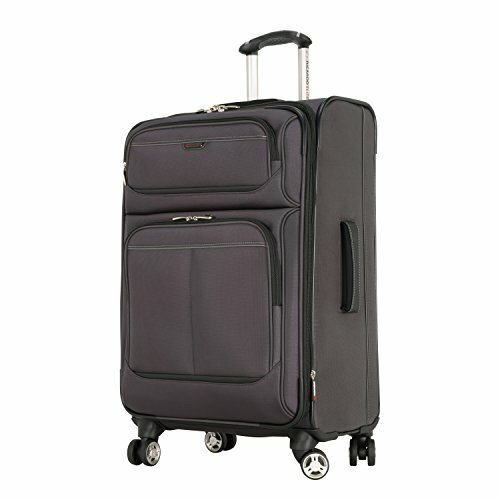 The San Clemente is equipped with double spinner wheels, for effortless steering of your suitcase. The multi-stage locking handle also helps make the steering effortless, especially because you can adjust it to several different heights. 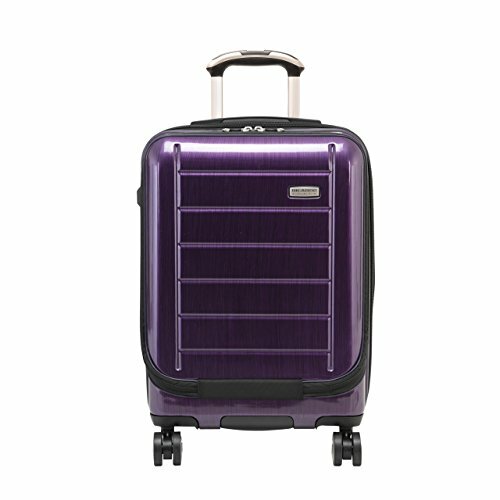 In addition, there is also a wheel locking system; you just push the button, and your suitcase will stay put until you push the button again. 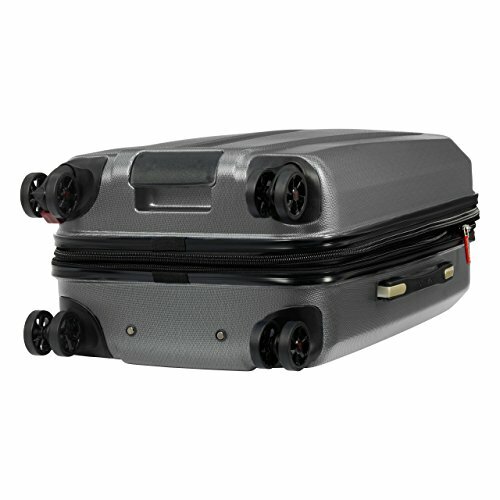 A cool thing about this suitcase is that it can be expanded up to 2.5 inches. Just pull the zipper and voila; you’ll have extra room to comfortably pack everything you bought on your trip. But, you can also pack those things in the 2 zippered mesh pockets - one on the divider, and one inside the main compartment. The Malibu Bay stands out because of its unique material – dreamfel (polypropylene) fabric. It is 30% lighter than polyester, and 20 % lighter than nylon, while also being resistant to tears, abrasions and moisture. 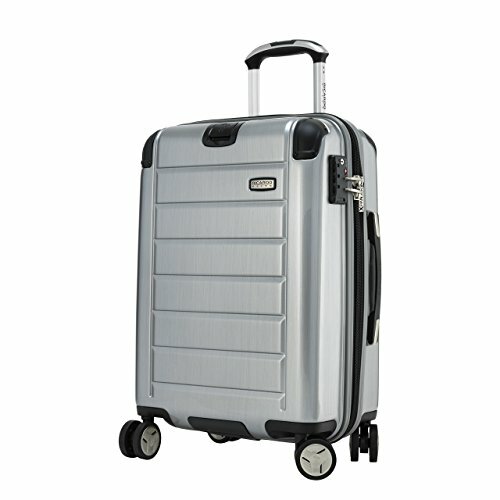 Regardless of the size you choose, you will get an extendable, lightweight and durable piece of luggage. 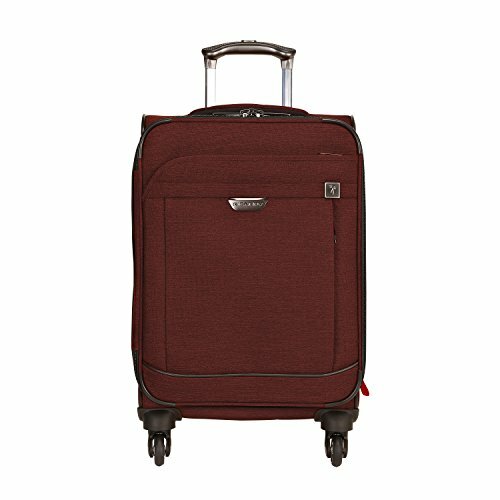 The Malibu Bay has spinner wheels that, combined with the multi-stage retractable handle, make steering your suitcase a breeze. Your arms won’t be strained at all, as the wheels roll like a dream. 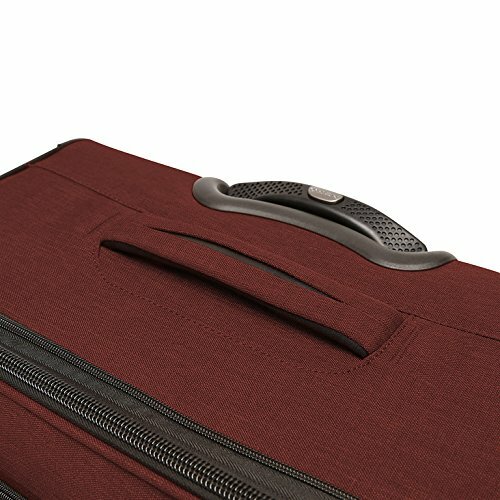 There are also padded side and top handles, for whenever you need to actually pick up your suitcase. 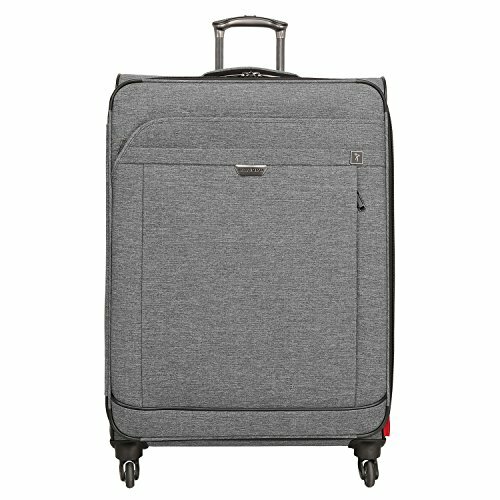 The 25-inch spinner has a unique, useful feature – a weight sensor that will alert you when you’ve packed your suitcase over the 50lb limit. Awesome, right? Additionally, there are 2 exterior pockets. One is vertical and the other is horizontal, but both are there so you could have some travel essentials handy. The only downside of this suitcase is that is has just one packing compartment. I prefer it when my luggage has two compartments, because my belongings are more organized that way. 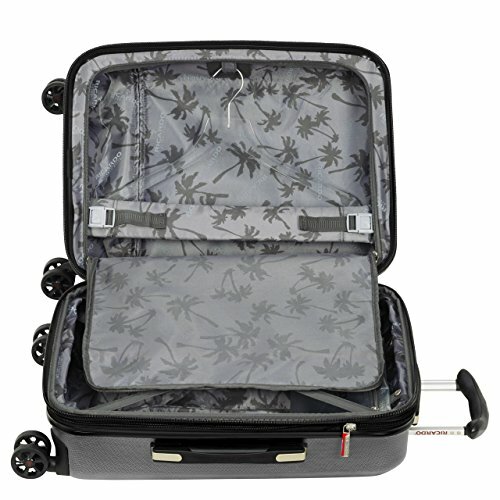 But, the presence of many little pockets improves the organization of this suitcase – there is a mesh zip pocket on the “door”, as well as a water resistant pocket for any wet or damp items. In the packing compartment there is one mesh zip pocket, and tie-down straps that will secure your belongings. The Rio Dell has a shell made of polycarbonate; an incredibly lightweight and durable material that is also impact resistant. It should last you many years, as this suitcase is sturdy enough to endure countless encounters with ‘gentle’ baggage handlers. In addition to that, it also has a TSA approved lock, which will remove any worries about TSA agents forcefully opening your suitcase and damaging it beyond repair. 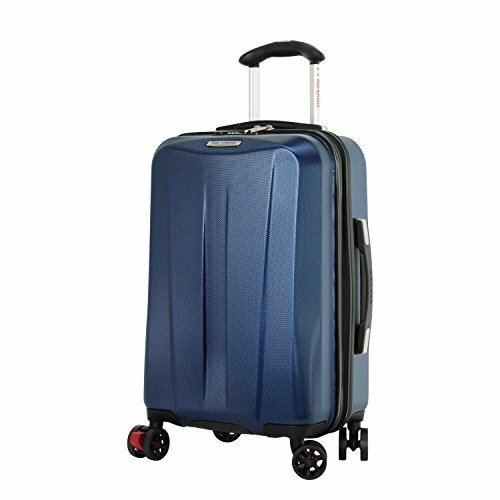 This suitcase has double spinner wheels that, coupled with the telescopic handle with integrated button, allow you to effortlessly move through busy airports. Additionally, the top and side grip handles are padded with gel, to ensure your comfort. And finally, the Rio Del also has a bottom grab handle. But wait, there’s more! 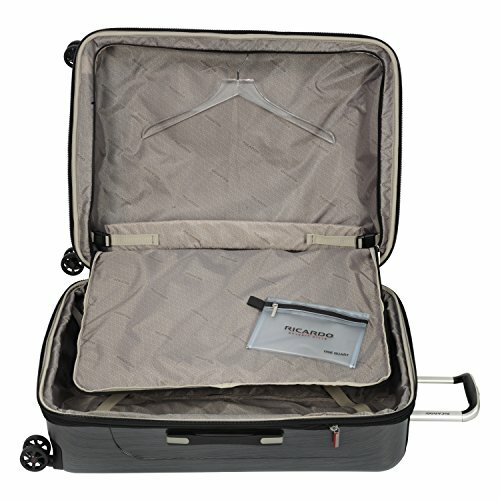 There is a zipper that allows you to expand the storage of this suitcase by up to 2.5 inches. A remarkably useful feature for all of you that, just like me, tend to overpack. In addition to that, there is also a hideaway ID sleeve under the handle, so you can easily identify your luggage. In terms of the interior of the Rio Del, it opens up into 2 packing compartments that are lined with polyester. The top compartment can be secured with a zippered divider, whereas the bottom compartment features tie-down straps. The divider also has a zippered mesh pocket for any smaller items you want to be able to find immediately. As for the main compartment, there is also a removable toiletry pouch that is see-through and TSA-friendly. 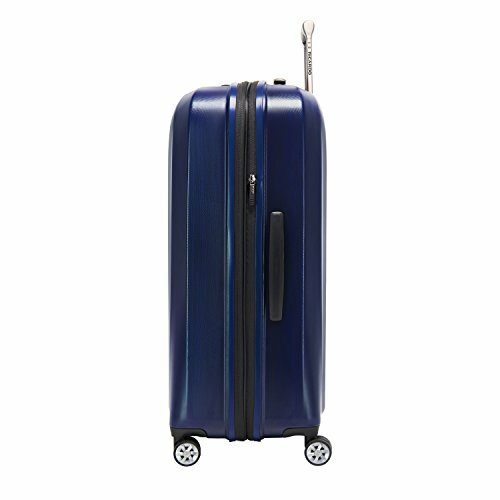 Even though this largely depends on your particular needs, there are a few suitcases that really stand out. 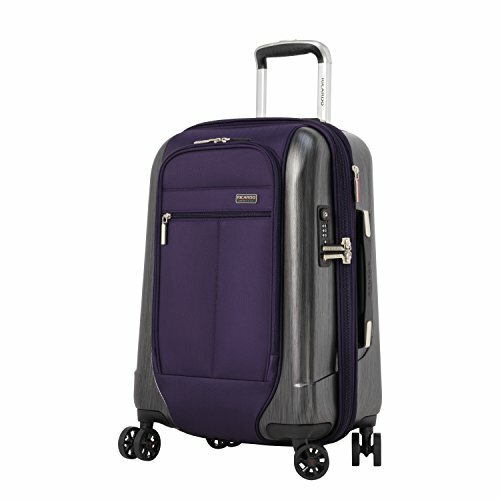 The first one is the Roxbury 2.0, which I find to be a great suitcase for people who have to travel for business often. 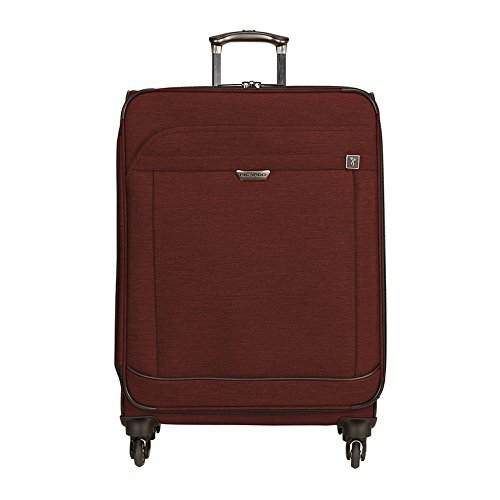 I mainly say this because this suitcase has several features designed to make the packing of your business attire effortless. Corner armor provides added protection at critical stress points. 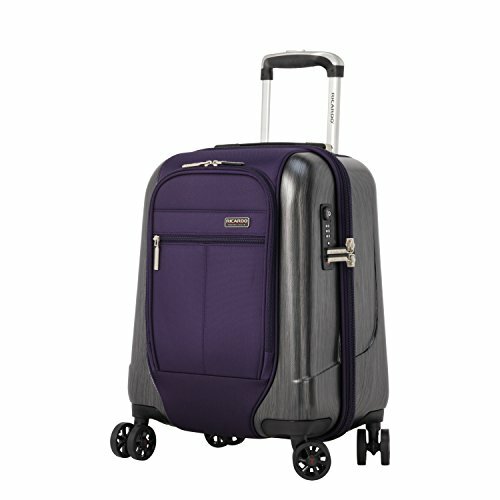 Dual spinner wheel system allows 360 Degree mobility whether you push, pull or walk alongside the case. 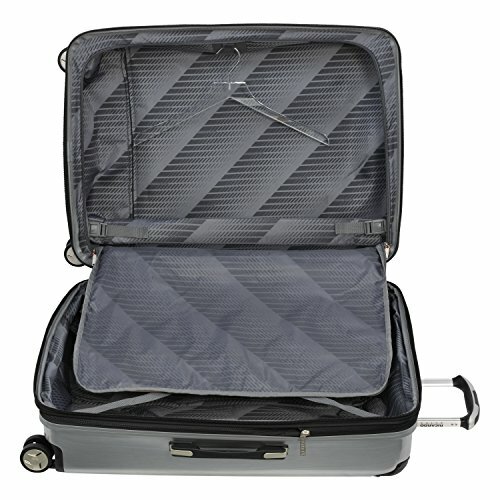 Cases expand with the pull of a zipper for added packing capacity. A retractable Add-a Bag strap allows you to attach a second bag for easier transport. Built in TSA compliant combination lock safeguards you belongings. "Split book" style opening offers two separate compartments for maximized organization. If your travels are more of the pleasure type rather than the business type, then I recommend the Malibu Bay. 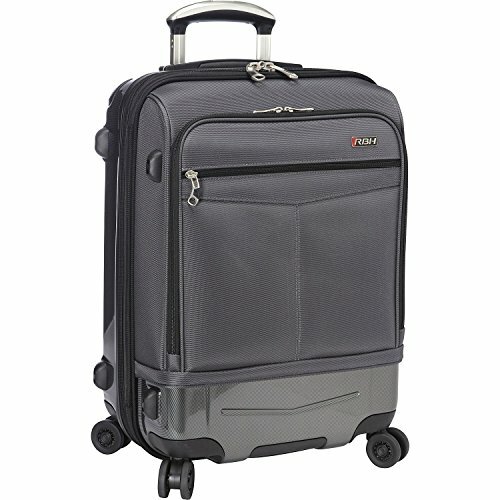 It is the most lightweight suitcase of this review, and it has a ton of pockets and cool features. The most impressive feature of this suitcase, at least for me, is the weight sensor. ULTRA-LIGHTWEIGHT - Dreamfel is 30% lighter than polyester and 20% lighter than nylon. Combined with a lightweight frame and large packing capacity, you can pack more without feeling weighed down. BUILT TO LAST - The overall fabrication and construction of this collection is extremely durable, resisting abrasion and tearing, while also protecting your belongings from the stresses of travel. 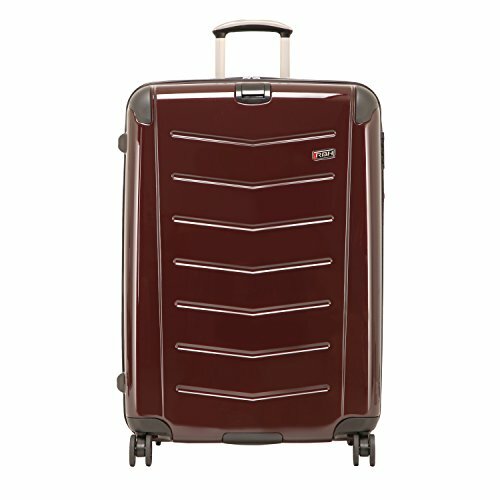 EXPANDABLE PACKING VOLUME - The case expands with the pull of a zipper for added packing capacity. EFFORTLESS MOBILITY - Custom 360 Degree double wheel system smoothly glides in any direction, enhancing stability and minimizing effort. EASY ACCESS TO TRAVEL ESSENTIALS-Multiple exterior zippered pockets make personal items and documents handy. 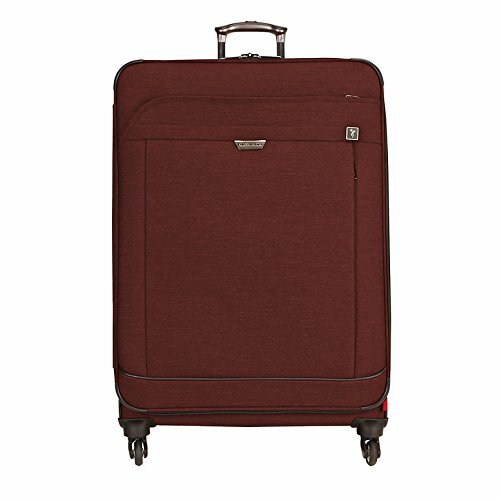 For those of you who are looking for a suitcase that is suitable for family trips, I would suggest the 30” San Clemente. 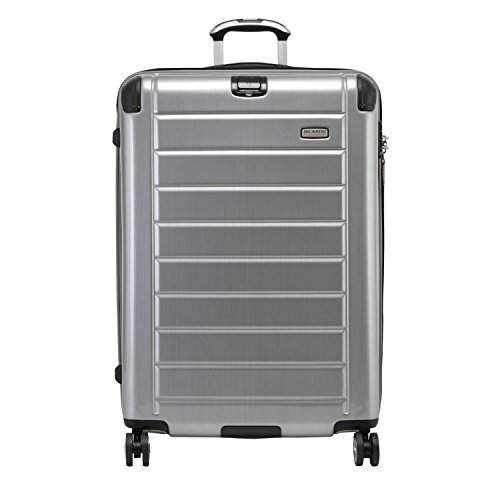 Even though it is the largest suitcase we reviewed today, it is still incredibly lightweight, with this version weighing a remarkable 10.5lbs! 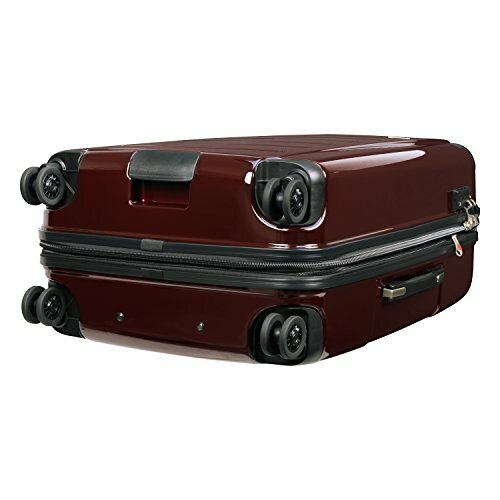 If you want to be able to pack the belongings of your entire family in suitcase, and still stay under the 50lb limit, then this is the one for you. 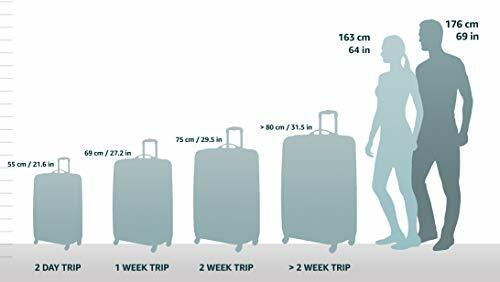 Body Dimensions: 11.5" H x 19" W x 26" D.
In case none of these suitcases impressed you, might I suggest you check out our review of Skyway luggage. Maybe you’ll find one you love there! 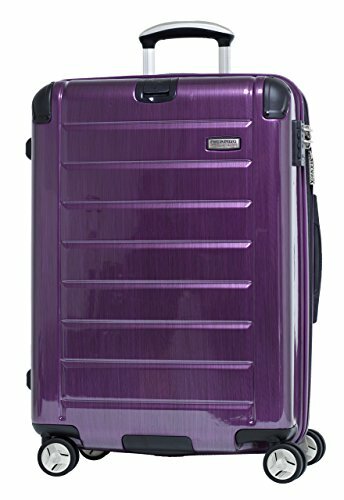 And if you were impressed by Ricardo Beverly Hills suitcases, head on over to Amazon to get a mind-blowing deal on any one of them.